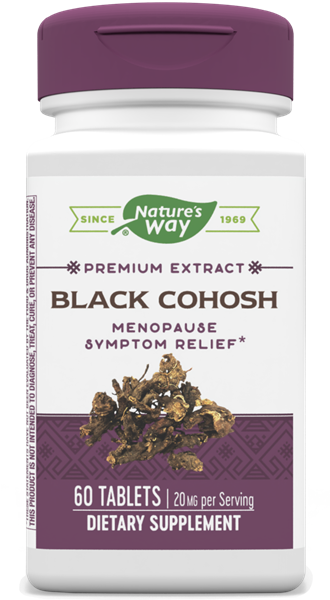 Black Cohosh Enzy / 60 tabs - Nature's Way®. Why use our Black Cohosh? Caution: If you are taking prescription medications, have a liver disorder or develop symptoms of liver trouble such as abdominal pain, dark urine or jaundice, consult a healthcare professional before use. Women who are pregnant or nursing should not use this product.